Indie games can be a hit-or-miss experience. Especially when they start out as a Kickstarter. But there are also some indie games that just look so good, that despite the risk of crowdfunding, or even pre-ordering, you feel compelled to buy in early. 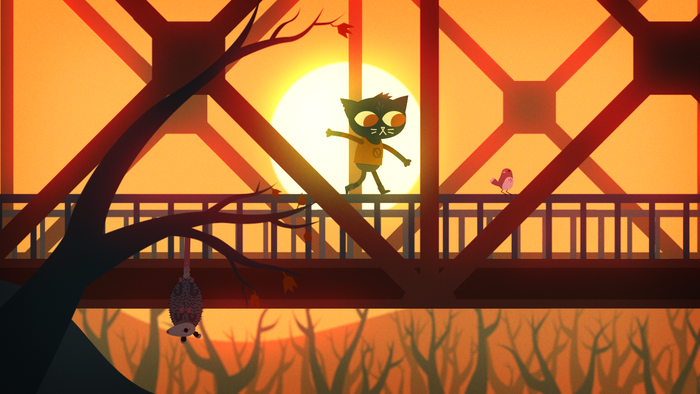 In Nelson's case, that game was Night in the Woods. While he had missed out on the original Kickstarter pledge/drive, Nelson had found out about this game randomly via some E3 coverage of all things. First of all, this game has an amazing soundtrack, let's just get that out of the way first. And that brings us to the art style... it's absolutely beautiful. It's soft, with kind of a dull neon glow, but sharp and engaging to the eye. It seems to have many layers to it, foreground and background all merging together seamlessly. Most importantly, this will be a story-driven game, and as some of our listeners might already know, Nelson is a big fan of games with a good story. 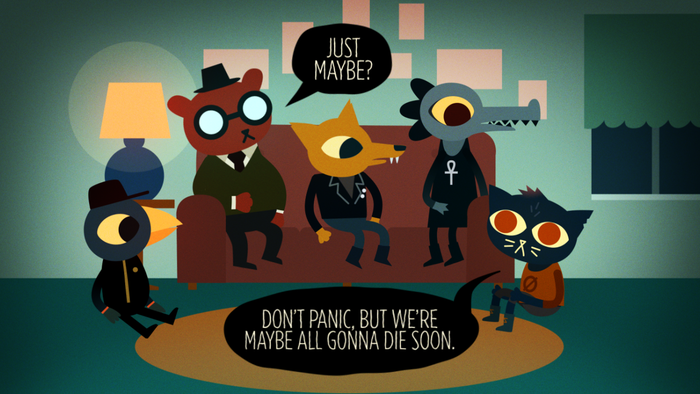 "Night In The Woods is an adventure game heavily focused on story, characters and exploration, with some platforming to get around town. Mae's a cat so the roofs and ledges and powerlines are all her playground, and she's not the only one up there by a long shot. You'll also be doing various activities and interacting with the world in different ways, getting to know the townspeople, hanging out with friends, exploring Possum Springs inside and out, and venturing into the surrounding areas." If this is your style of game, or you want to take a chance and check it out - you can preorder it now, and it should be available in 2015, but hopefully sooner, on PC/Mac/Linux, as well as Playstation 4.